*tap, tap, tap* Paging Dr. B! Are you ready for a new crafty prescription? Are you suffering from early-summer crafty sniffles? I have a cure for what ails ya! Madge is trying a little something new this month: there will be a mini kit OR a classic kit available! Classic Housecalls: (All paper is 12x12 in the classic Housecalls kit.) 11 Pieces of Paper, 1 Punch out page, 1 set of Notecards, 1 roll of Washi Tape ** Please Note the Washi Tape may vary per kit** 3 strips of Ribbon, 1 alpha set, 1 package of CANDi Minis, 1 mustache tag, mustache bag, 2 Kraft mustaches, 2 black Mustaches. NOW, on to the projects!! Take a look at all the other wonderful creations by my fellow teamies! Britt Bass “Queen B” YOU ARE HERE!! Thanks for stopping by everyone!!! Happy hopping! love the masculine themed kit! 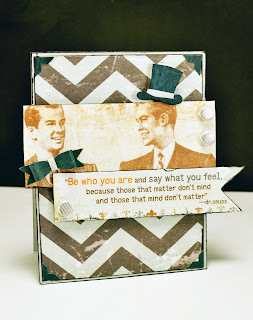 love the masculine theme kit! AWESOME projects.... I love this kit! great ideas with this kit!! Great kit, love the creative cards! LOL, a punny card -my favorite! This is so cute. Oh my stars what a great way to use the CANDi!!! two great cards!! Whoop you did it again!! Wow Wednesday 3 - June Kit "Mustache Madness"
Jinger Adams – Apple of My Eye Mini Book and Box! Join Us in the Heartstring Designs Challenge!